Emerging Payments & Innovation has quickly become one of the key focus areas for Bank of America and is critical to delivering our broader strategy to deepen relationships and drive engagement with our customers. This will be a senior individual contributor role working across consumer, small business, wealth and corporate banking client segments. Key areas of focus will be related to Real Time Payments (RTP), Zelle, bill pay, transfers and account controls across e-commerce/wallets/IoT. • Direct and initiate eCommerce/ ATM marketing programs, initiatives, channel strategies and research projects. • Work closely with business partners in creating new eCommerce/ATM strategies for physical and electronic channels and implementing new marketing approaches. • Act as the architect for one or more eCommerce product development projects, leveraging technical acumen to help design and/or implement systems and user acceptance tests. • Work on the most complex projects or with the most visible/ important online products. • Work across Bank of America’s Consumer, Small Business, Wealth and Commercial segments to define and deliver on our Enterprise Payments Strategy. • Define and drive capabilities leveraging the new payment networks (eg Zelle, RTP) and related client solutions across the enterprise. • Represent Bank of America in shaping the strategic direction and priorities for key ecosystem working groups including Zelle, Visa/Mastercard and TCH. • Develop and present compelling, executive-ready presentations conveying the strategy, business case and recommendations across key stakeholders across products, digital, technology and compliance. • Structured thinking – being able to understand business processes, identify problems and take a logical approach on how we could drive improvement. • Intellectual curiosity – ability to take on complex business problems and learn about new approaches that can drive value to the organization. • Communication skills – proven ability to communicate complex topics and translate between business and IT stakeholders. • Strong problem-solving skills, including situation analysis, problem identification and solution recommendation strategies. • Collaborative team player with high emotional intelligence. • Bachelor’s Degree (Master’s preferred), minimum 7-10 years experience working in payments or related business and technology innovation. • Experience delivering emerging payments solutions in business, technology or operations role. Ability to operate independently within a matrixed organization at a variety of executive and junior levels. • Growth mindset – demonstrates curiosity. Welcomes failure as a learning opportunity. • Expertise in executive communications and stakeholder relationship management. • Capable of articulating the payments vision and gaining alignment with stakeholders. 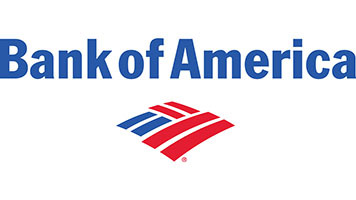 Bank of America will consider for employment qualified applicants with criminal histories consistent with San Francisco ordinance 17-14 and federal law applicable to Bank of America.